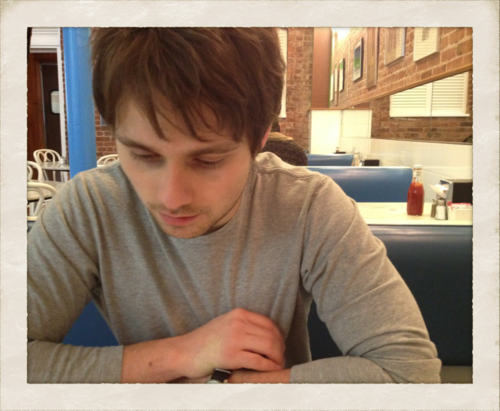 Photo a Day Challenge: Day 11 "Someone You Talked To Today"
Jenny's Photo: Andrey. He’s a good person to talk to- he mostly listens and says lots of interesting things. 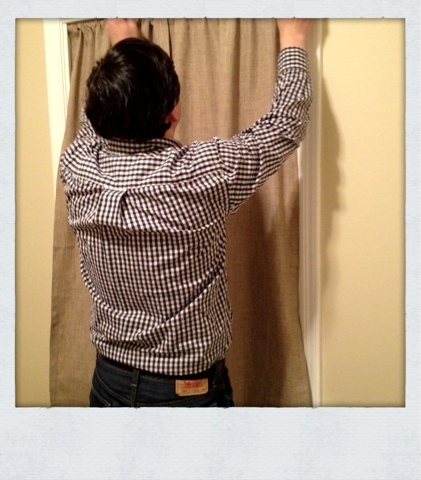 Olivia's Photo: Eric working on hanging the curtains I made for the bedroom!